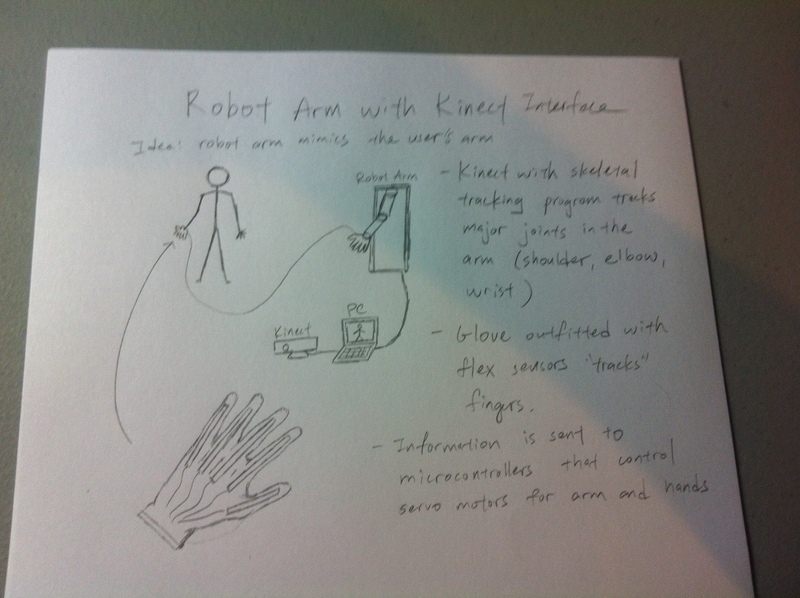 I’m excited to announce my senior capstone project: Robotic Arm with Kinect Interface (it’s a …working title). Let me show you my vision with this amateur sketch. The idea is simple: to make a robotic limb mimic a human user’s arm. However, I won’t go into details in this post. The next posts will go into the project in more detail, as well as updates into the current progress. So excited!